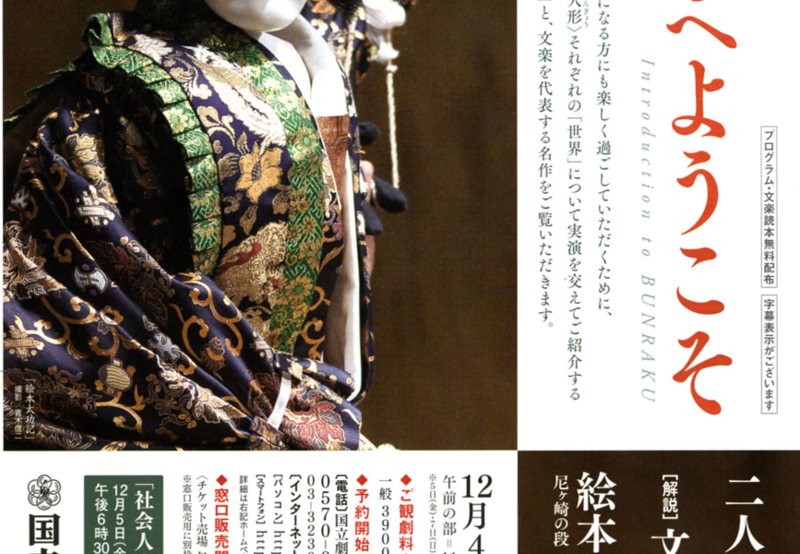 Bunraku will perform in Tokyo. This performance is for Beginners. you can enjoy one of the famous act. Bunraku is one of the traditional performing arts in Japan. it was designated a World intangible Heritage by UNESCO in2003.